Any more pics of the swingaway? How's it mounted? 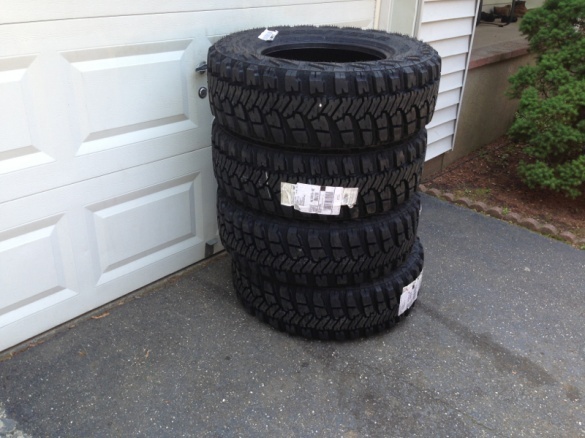 Looks like what I want for my ZJ. New MTRs ready to get mounted tomorrow! 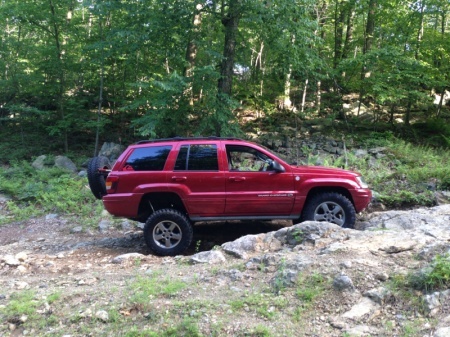 Hey man your WJ looks sweet, I am happy I finally found a WJ build thread they are few and far between! 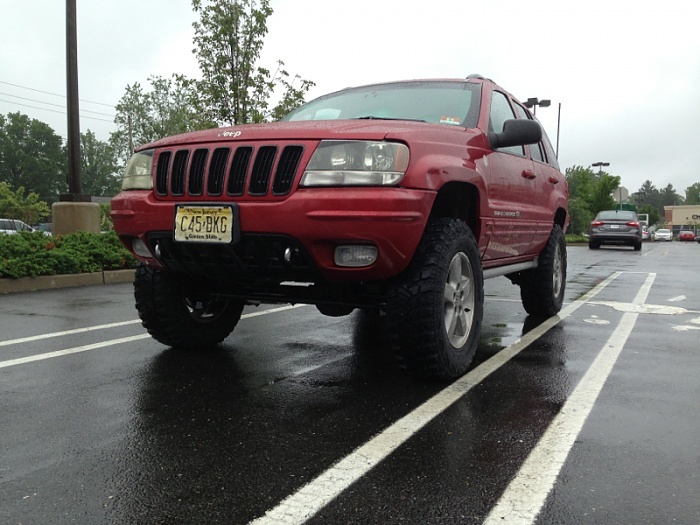 Quick question, What bumpers are on your buddies WJ? It seems to be almost impossible to find decent bumpers for them! 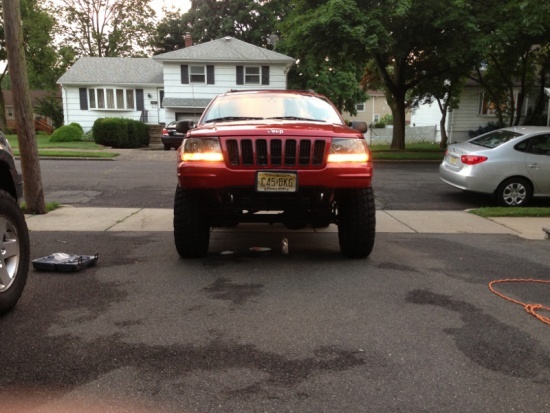 never mind I just found a pic of that bumper on his jeep on the Kevin's off road website! finnally found a site with decent bumpers! Very nice overland! 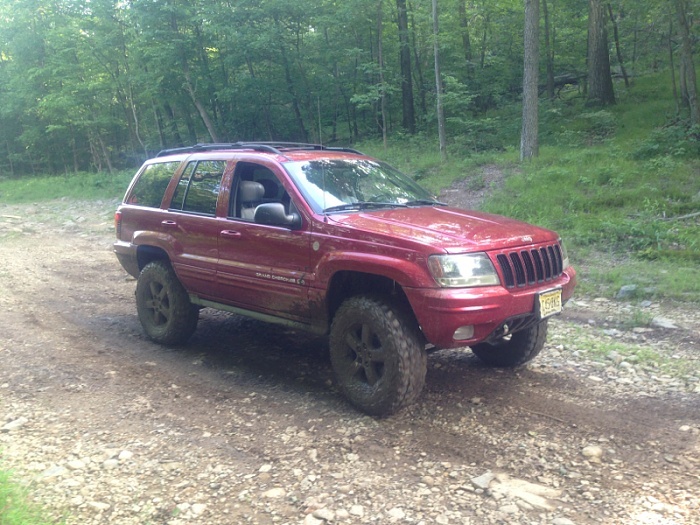 The WJ bushwacker uses as their promo jeep, in my opinion, is a great looking jeep as well. Only thing they could have done is start with an overland like yours!! Got the MT/Rs mounted up and damn i love them. 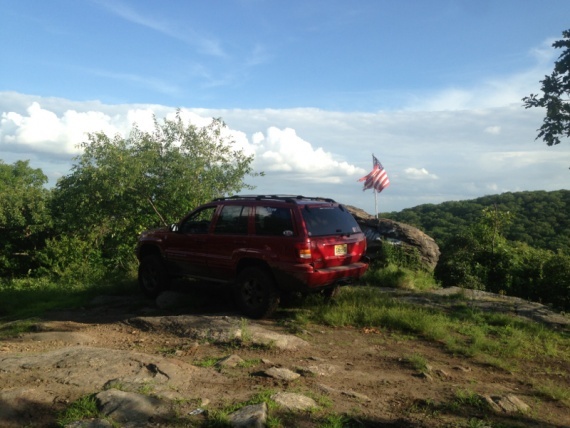 There great offroad too. That's a nice looking Jeep you got there man. 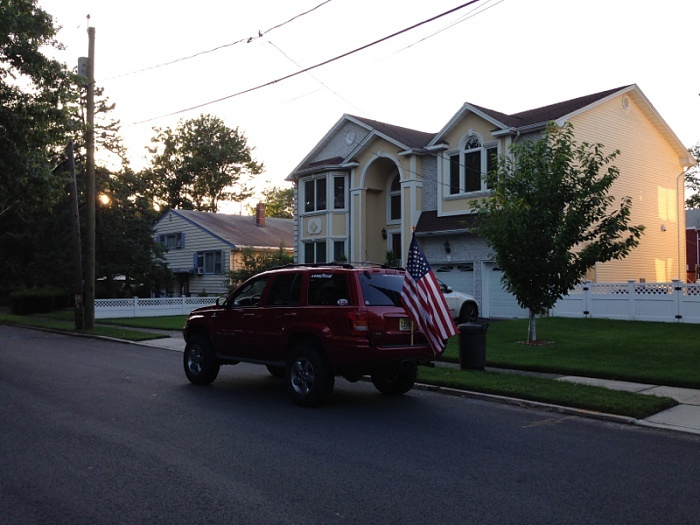 Threw a flag on for July 4th. 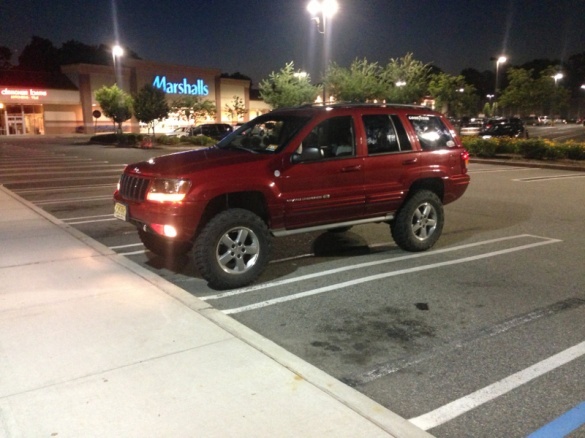 Your WJ looks great! I have an 04 Overland that I have had for a few years and just starting to look at some mods for it. Not that you can really expect great MPG but what are you getting with the current lift? I like the 4" would be ideal for what I have in mind as Its my DD and dont want to get to crazy. Some day Ill get an trail toy.